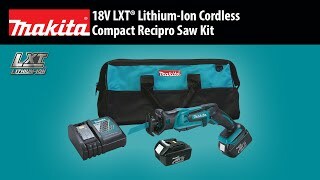 The 18V LXT® Lithium-Ion Cordless Compact Recipro Saw (model XRJ01Z, tool only) is a versatile cutting solution that combines variable speed and 1/2” stroke length with an exclusive dual-position on/off switch that allows for either paddle or trigger switch operation. 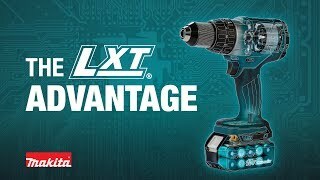 Contractors get faster, more efficient cutting along with the convenience of “tool-less” blade changes and a fast charge time. Length of Stroke : 1/2"
Max. Cutting Capacity (wood) : 2"
Max. Cutting Capacity (pipe) : 2"
Shipping Weight : 3.5 lbs.